Brittany Mohney (’13 B.M.E.) graduated in May, 2015 from the National Institute for Infant & Child Medical Music Therapy at Florida State University. She is now employed by Tallahassee Memorial Health Care Hospital. 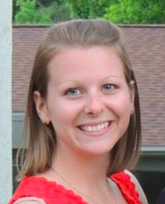 In this position, Brittany serves as the national coordinator for Infant and Child Medical Music Therapy. She approves applications for entrance to the program and does hands-on training with the students and interns working with infants. The techniques used in the clinical portion of the training include the Pacifier Activated Lullaby (PAL) device which uses contingent music to reinforce and strengthen the non-nutritive sucking reflex, and the neuro-developmental stimulation progression which teaches babies to organize a variety of stimuli at one time neurologically. Research supports the use of the techniques to shorten length-of-hospital-stays and increases successful weight-gain for premature infants. During her undergraduate years at Penn State, Brittany was a bassoon student of Daryl Durran.